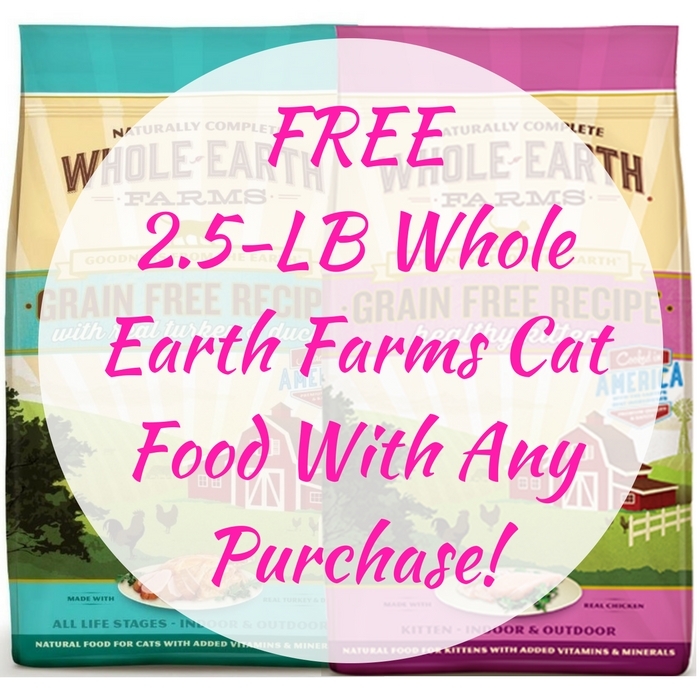 FREE 2.5-LB Whole Earth Farms Cat Food With Any Purchase! You are here: Home / FREEbies / FREE 2.5-LB Whole Earth Farms Cat Food With Any Purchase! Until June 25! Head over to Petco and score a FREE 2.5-LB Bag of Whole Earth Farms Cat Food with any purchase by simply printing this coupon or show it to the cashier on your phone along with your Pals Rewards Card! If you are not a member yet, click here to register.